Are you a lover of leftovers? A connoisseur of cuttings? A rescuer of remnants? A saver of surplus? A miser of the miscellaneous? Even if you've only been quilting for a short time, you have fabric scraps! Those lovely bits and pieces left from other projects, too precious to throw away. But what to do with them all? Barb and Jan are here to help! Scrap Masters is the new group we are starting at Quilter's JEM. We have lots of ideas to share with you. 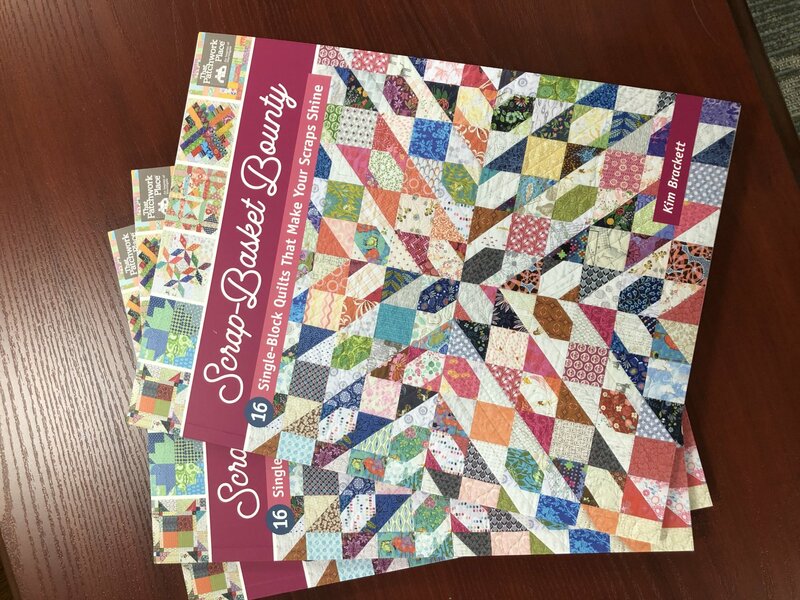 And we have Kim Brackett's book, Scrap Basket Bounty, available for purchase to whet your appetite for scrap quilts. It has lots of great patterns, though not required, we love it. Bring your machine, cutters and rulers and basic supplies. We will get you started on a new project, or you may bring any current scrap project you want to work on. Or just come to try it out. We'd love to have you!